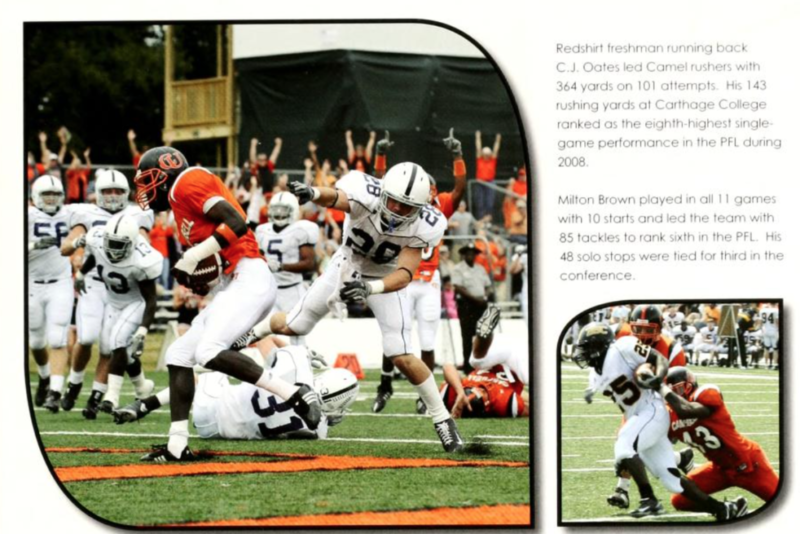 The Fighting Camels made history in 2008, playing their first game in 58 years on August 30. The crowd of 5,845 students, alumni, friends and parents turned out for the season opener against Birmingham-Southern University, the largest attendance for a home game in Campbell University athletic history. Caravans of tailgaters lined the parking lots and lawn areas outside the new stadium as excited fans, some in orange wigs and body paint, braved the heat and geared up for the first game. At halftime, with the Camels up 3-0, Campbell President Jerry Wallace and Board of Trustees Chairman Harold Wells, announced that the new stadium was to be named the Barker-Lane stadium, in recognition of the significant contributions of Fuquay-Varina entrepreneurs, Bob Barker and Dr. Don Lane, towards the football program. 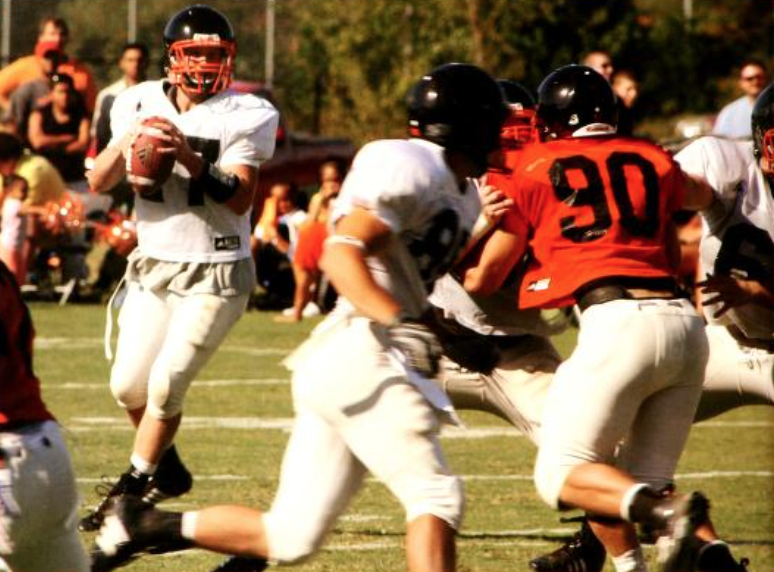 The Campbell football program dates to 1925 when the school fielded its first varsity program. In 1946-48, the Fighting Camels won three consecutive North Carolina Junior College Championships under the guidance of head coach Earl Smith. Ultimately, Birmingham Southern defeated the Camels 12-6, but the spirit of excitement was still in the air through campus. Read more about alumni news and events at alumni.campbell.edu.